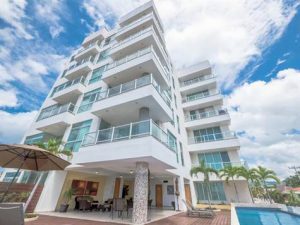 Not just a sunny retirement destination, according to the latest MLS statistics, 50% of home-buyers in the Puerto Vallarta | Riviera Nayarit region are aged 25 to 54. Early retirement and private use vacation homes certainly play into those numbers, but more and more younger buyers are purchasing investment properties primarily to rent, either short or long term. In fact, the return on investment has never been better on as it is now in rental properties, so if you are considering buying to rent, here are a few things you should know. Do your diligence in choosing a rental agent. There are a several property management companies in the area and some condo buildings even offer in-house property management services. While most of these companies are very professional, make sure that you are asking questions and checking online for reviews. My team or your real estate agent will be able to recommend a reputable property management company for you. Detailed rental contracts. Evicting tenants is a headache in any country and Mexico is no different. Be certain that your rental contract is detailed and complete with all clauses that clearly outline the use of the property and terms of the rental agreement, signed by you or your rental agent, your tenant and at least one witness. Pay your taxes. There is no double taxation between Mexico and the USA or Canada, so you will not be taxed twice, but revenue from rental properties must be filed as income tax. Additionally, if your rental property is furnished, a 16% IVA tax must be collected and paid. Your property manager can assist with filing these taxes or refer you to an accountant to manage it for you. A qualified rental agent or management company will be able to manage these details and others regarding your rental property, so ownership truly is quite simple. 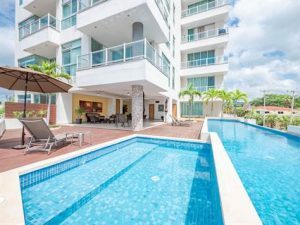 And with an incredibly high demand for rental properties in the Banderas Bay area, your investment property can easily pay for itself with rental revenues. If you are interested in buying to rent, talk with me about the neighborhoods and types of properties that will maximize the return on your investment.